No matter where you work, no matter what you do for a living, you run the risk of being injured while on-the-job. The United States Department of Labor, Bureau of Labor Statistics found that, on average, there is a nearly 5 in 100 chance of any worker being involved in a workplace accident or suffering a work-related illness in a given calendar year. Obviously, the type of job that you do can increase the chances that you will be injured while working. For example, construction workers have a 13.3 in 100 chance of being injured. Nevertheless, no matter what you do for a living, statistics show that you are 1,000 times more likely to get injured while working than you are to die from a workplace related accident. These statistics demonstrate that every worker needs to know what to do to preserve their rights should they suffer an on-the-job injury. If you’ve already been the victim of a workplace accident, knowledge of the correct steps to take becomes even more critical. What you do, or don’t do, after you’ve been injured can greatly affect your chances of obtaining adequate compensation for your injuries under California’s Workers’ Compensation laws. There are two important reasons why you should promptly obtain medical treatment once you know that you have suffered injuries that are job-related. The first is obvious. Your continued health and functionality should be your number one priority. If you don’t get the medical treatment that you need, you can delay full recovery and run the risk of making your injuries worse. Second, obtaining prompt medical treatment for your workplace injuries establishes a clear link between the on-the-job accident that you suffered and the injuries that you sustained as a result. The longer that you wait to get medical treatment, the less clear this link becomes and the more likely it is that someone will claim that activities outside of work contributed to your overall condition. Both of these factors can reduce the amount of compensation you ultimately obtain through workers’ compensation. If you’ve been involved in a workplace accident and sustained injuries, you need to let your employer know what happened as soon as possible. Some people hesitate in telling their employer that they have been hurt on-the-job. They’re afraid that once their employer finds out that they’ve been hurt they’ll lose their job. Nothing is further from the truth. First of all, the longer that you wait to tell your employer that you’ve been injured, the weaker your workers’ compensation claim becomes. It’s the exact same situation as waiting to get medical treatment for your injuries – the more time that passes between your injury and your employer becoming aware of your injury, the less clear the link becomes between your injury and your accident. The greater your delay in informing your employer, the more likely it becomes that someone challenging your claim will try and establish that non-work activities caused or contributed to your condition. Second, the longer you wait to tell your employer that you were injured, the more you delay the start of the workers’ compensation process and the longer you will have to wait for compensation for your injuries. Your employer is required by law to provide you with a workers’ compensation claim form within 24 hours of being notified of your injuries. Once you fill out this form and return it to your employer the process of obtaining benefits, compensation that will support you and your loved ones while you recover, has begun. Finally, it is against California law for an employer to fire an employee for being injured on-the-job or for filing a workers’ compensation claim. It is extremely unlikely that your employer will fire you because you’ve been injured. However, it is extremely likely that you will hurt your chances of obtaining a full recovery for your injuries if you withhold this information. Therefore, make sure that you preserve your rights by notifying your employer of your injuries at the earliest possible opportunity. After you’ve been injured, you will have the opportunity to discuss your injuries with several different people who will have the ability to directly affect the outcome of your claim. These people include your employer, your doctors, and your attorney. It is important that you communicate with all of these people in a clear and consistent manner. If you are unclear or inconsistent when you relate the details of how you were injured, your symptoms and your current condition you weaken you workers’ compensation claim. Answer any questions about your injuries or the accident that caused them honestly and in as much detail as possible. Stick to the facts as you know them. Avoid guessing or estimating. If you don’t know the answer to a question say so. Make sure that you are as consistent as possible each time you tell the story of your accident and injury. Clear and consistent communication is the key to successfully obtaining the compensation for your injuries that you deserve. If you’ve been injured on the job, you’re in pain. You also likely to be limited in what you’re able to do. It’s probably not the best time to try and learn how to successfully handle a workers’ compensation claim. Even though California’s workers’ compensation laws are essentially “no fault”, that doesn’t mean that process of obtaining adequate compensation isn’t complicated. It’s an adversarial process. Your employer’s workers’ compensation insurer is in the business of scrutinizing every claim made against the policies they have issued. It is in their best interest to try and minimize the amount of money they pay on each and every claim that comes their way. 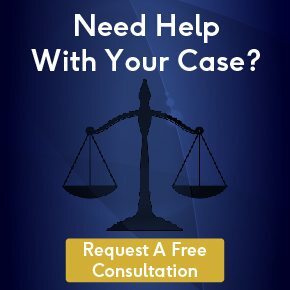 A competent and experienced workers’ compensation attorney will be in your corner, pushing back against the insurance company and making sure that you get every cent of compensation that you deserve.